If you’re one who have not heard of Snowflakes before, then you have my deepest sympathy. Either the rock you’ve been under had been so sturdy and ginormous it kept you from the shrills, thrills and chills of the famous Taiwanese dessert specialist over in the Klang Valley, OR you hate anything with shaved ice. Or you lost your sweet tooth when you went pass adolescence. But wait, lest you thought this Motormouth suffered another bout of raging confusion at work today, the title DID read SnowDREAM. Not Snowflakes. Back in May this year, Snowdream invaded the Ipoh’s shores. The dozens of My Dream notwithstanding (don’t even go there), Ipoh has been cursed with a severe lack of dessert houses. The last one I reviewed was this Tong Yan Gai dessert place at De Garden which has since closed. Strawberry Moment called it a day sometime late last year too. While we’re on this, most of the outlets at De Garden have closed, changed names, went off to different venture, or plain gave up at trying to measure up to the darn hard-to-please Ipoh folks’ tastebuds. 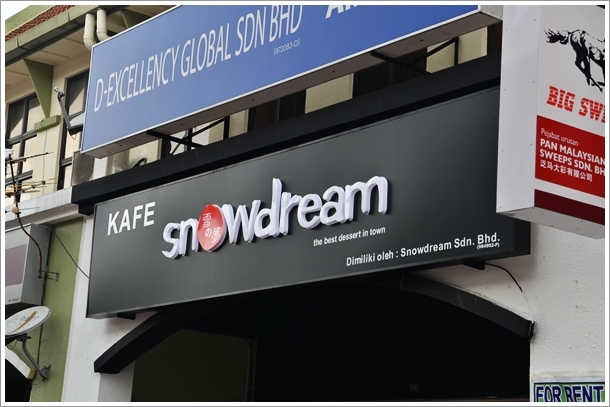 The selection of desserts served at Snowdream was pleasantly familiar, with THREE signatures instead of one BESTSELLER (Snowflakes’ lazyman ensemble of grass jelly/cincau, grass jelly ice, taro balls and creamer). We opted to try all 3 of them; the S2 being the closest to Snowflakes’ incorporating grass jelly, grass jelly ice, taro balls, sweet potatoes and creamer. 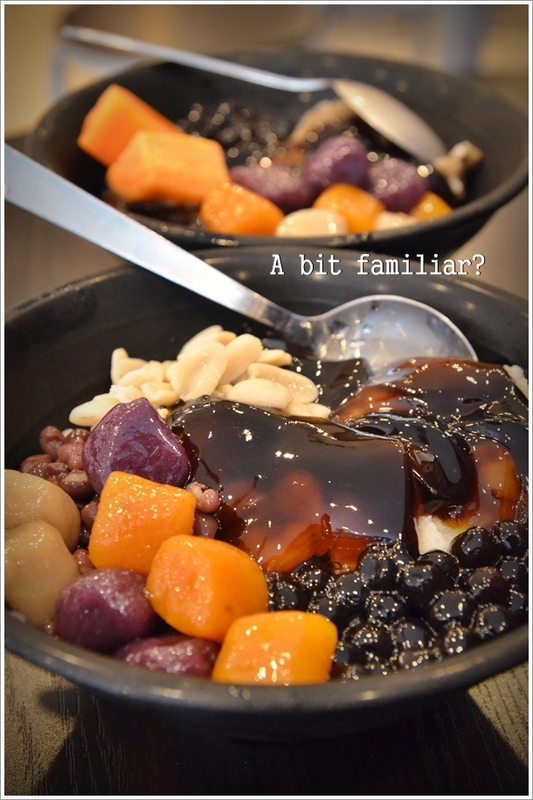 S1 was the soya ice series with boiled peanuts, grass jelly, red bean, taro balls and pearls. S3 was slightly different; with sea jelly (something like wan tau long) with snow fungus and even seaweed! Tastewise, not too shabby but a bit sweeter than the ones served at Snowflakes. 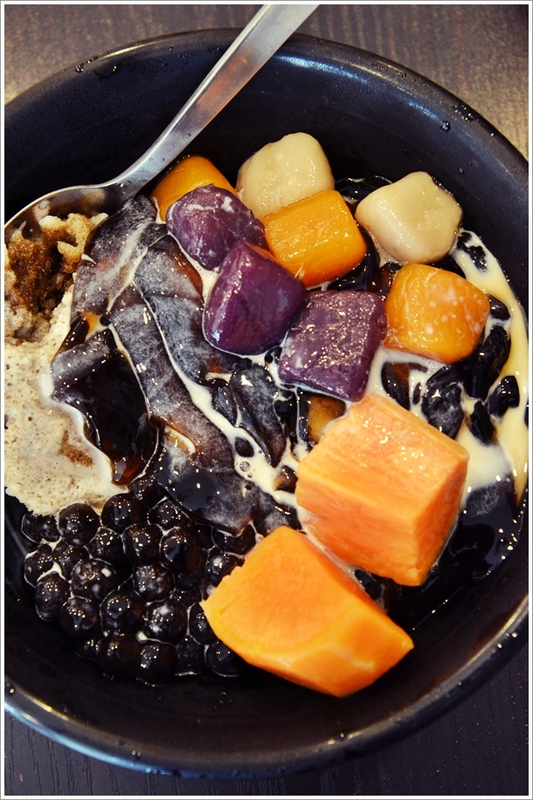 And the awkward taste of their boiled/steamed sweet potatoes was marring the delicate taste of the grass jelly and chewy taro balls. Though, they rebranded theirs to taro ballZ instead, for patency protection, perhaps? Business hours : 12pm – 11pm everyday, except Friday and Saturday where they open until 12am. Same row as Maxis and the halal Dubliner’s Cafe in Greentown, and opposite the previous Old Town White Coffee. *All Signatures are priced at RM6/USD2 per bowl. For the full menu, please refer to their Facebook page HERE. They serve fried snacks too. Haha …. purest form of flattery huh? Gosh, their signboard certainly looks familiar!! I wonder if they will survive, this dessert shop.. Typical of dessert houses in Ipoh, the chances could be split. However, until Snowflakes, Blackball, Zen-Q, Meet Fresh, etc etc decide to come to Ipoh, I guess SnowDream’s the way to go then.